One of the greatest places to experience the city life. Boston, Massachusetts is a huge city, and sometimes, it can be overwhelming to try to think of all the places one can visit. Even so, there are a few tourist attractions that have been a staple for many individuals living in the Boston area all their lives, or at least places people should go when trying to embrace the wonderful place that is Boston. Boston Common as well as the Public Garden are two perfect places for anyone and everyone, including those who just want to enjoy the beauty of nature or those who just want to chill with a bunch of friends in the city. In the summer, every corner of open green space is surrounded by beautiful, colorful flowers and in the winter, white, bright lights cover all the trees and shine on the snowy, blanketed ground. You haven’t truly seen Boston unless you go to the Commons, and while you’re there, go on a swan boat ride in the summer season or ice skate on the frozen Frog Pond in the winter (for small cash fees). Newbury Streets is one of the most well-known and busy areas in the city, with eight blocks of popular clothing stores, restaurants, snack shops, boutiques, salons, and more. As you walk down the street and pass by the various buildings and store windows, there’s something for everyone to enjoy. As a student who lived right outside of Boston for eighteen years and has been to the Museum of Fine Arts more than eight times as a part of school field trips, I can definitively say that every experience at this museum has been new and refreshing. Art is always unique in its own way, and new pieces are always being installed as more and more individuals continue to appreciate the importance of art in one’s life. As the fourth largest museum in the country, the MFA is a popular tourist site (even offering free admission multiple times throughout the year). The New England Aquarium will satisfy every little kid’s (or just excited adult’s) need to see cute, fuzzy, or huge animals. 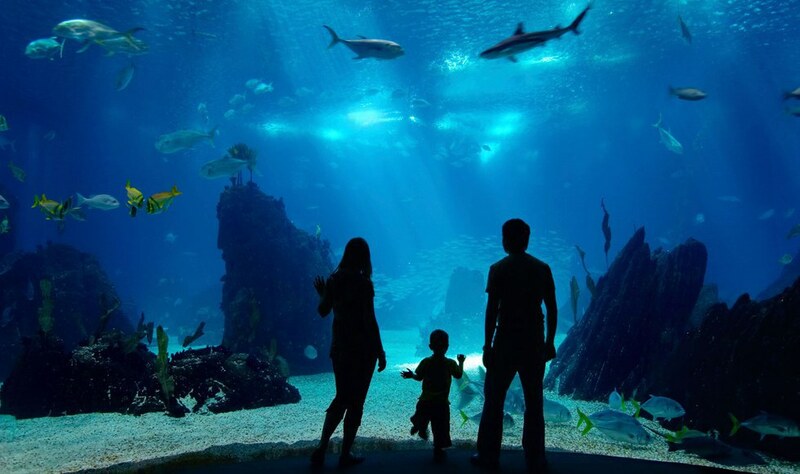 With more than a dozen exhibits, a whale watching opportunity, featured movies, and a number of interactive activities, it’s easy to have a positive, informative, yet fun time at the aquarium. Besides, who doesn’t love to watch penguins and seals slide on their bellies? 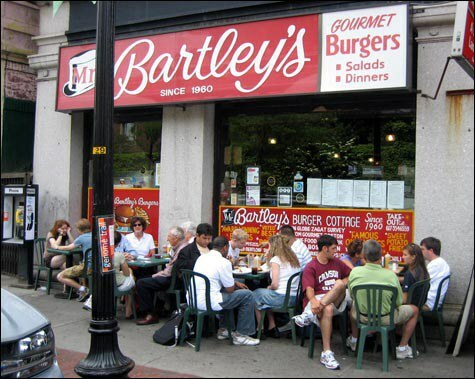 Located in the heart of Harvard Square and right by Harvard Yard (surrounded by quaint book stores, well-known shopping departments, and comfy areas where visitors can sit and people watch), Mr. Bartley’s has been around for over fifty years offering more than fifty different burgers, sandwiches, wraps, and more. The restaurant is always filled with people at all times of the year, including celebrities who have visited in the past like Katie Couric, Adam Sandler, Al Pacino, Johnny Cash, and more (all of which have wraps named after them). Democracy rocks, and one of the greatest places to feel politically inspired and historically educated is the Massachusetts State House. 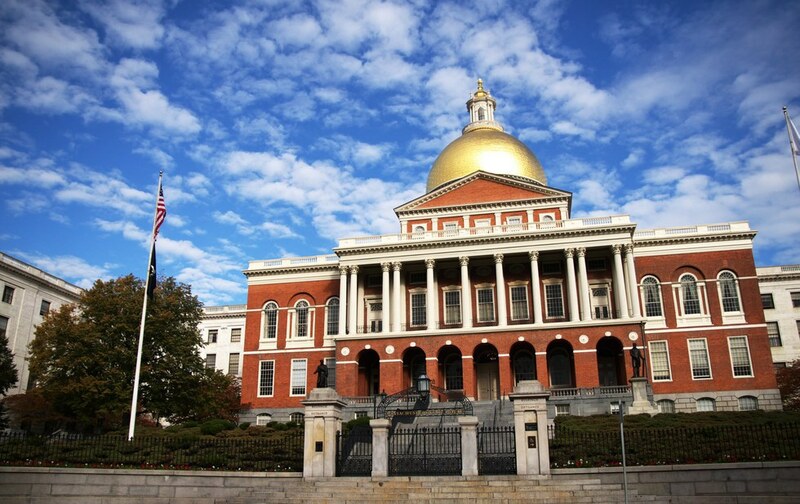 Tours are free throughout the year, usually given by high school or college interns who have a passion for government and the city of Boston, and let you know of interesting facts you may have never known (including the fact that the top of the State House is a gold dome with a wooden pine cone adorned on top). People in business suits and blazers and pencil skirts are always bustling about as well, so you may even get to meet your favorite representative passing by on the stairs. Boston has so much to offer, and with so many attractions, stores, resources, and opportunities right at your fingertips, life is perfect for those who love a busy and action-packed community. 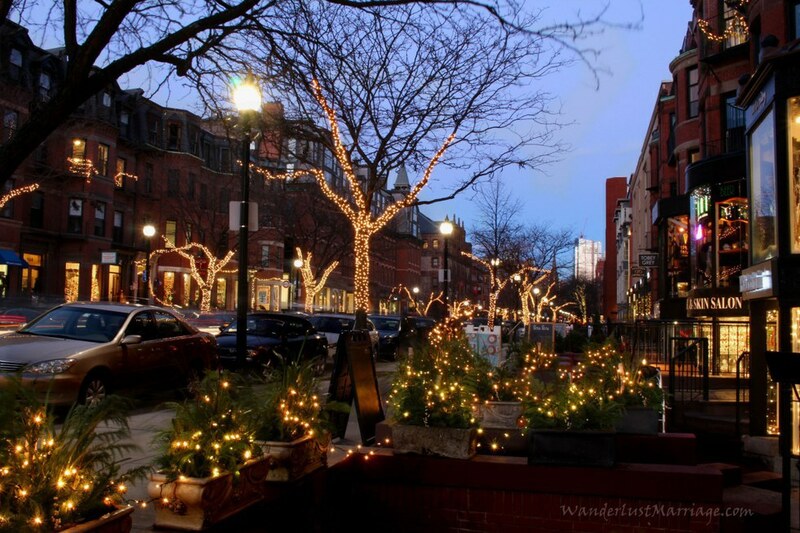 But even if you’re more used to quiet, rural, more open areas, Boston is one of the best places to enjoy the city life firsthand, and these are some of the greatest places everyone should visit.